The Career report is focuses on vocational aptitudes as revealed in the birth chart. This is a comprehensive natal report filled with suggestions about the type of work for which you are best suited if any seen in the horoscope. 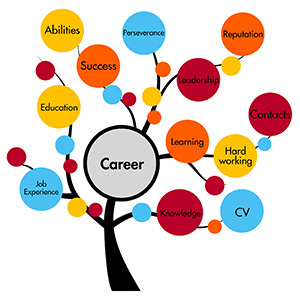 The Career report is focuses on vocational aptitudes as revealed in the birth chart. This is a comprehensive natal report filled with suggestions about the type of work for which you are best suited if any seen in the horoscope. This report provides insight of your career and as well as your communication abilities and challenges, your talents, and astrological advice will help you to plan your career. Plan your career step-by-step with the help of Vedic Astrology, which can lay bare before you the choices and challenges in your professional life. General trend and present state. Foreign trips and travel if indicated. Relationship with your peers. Remedies to enhance your career if required. You can use astrology to plan your career, manage obstacles and use the favorable periods to the maximum advantage. Get clarity on your career goals in this invaluable astrological report.